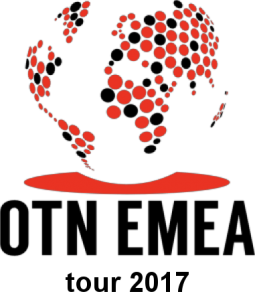 As you know, the Oracle Database with the Oracle Real Application Clusters (RAC) option allows running multiple database instances on different servers in the cluster against a shared set of data files, also known as the database. The database spans multiple hardware systems and yet appears as a single unified database to the application. This enables the utilization of commodity hardware to reduce total cost of ownership and to provide a scalable computing environment that supports various application workloads. Oracle RAC is Oracle’s premier shared disk database clustering technology. I finished review of the book about Oracle RAC technology - "Expert Oracle RAC 12c" by authors Syed Jaffar Hussain (Oracle ACED, DBA of the Year for 2011), Tariq Farooq (Oracle ACED), Riyaj Shamsudeen (Oracle ACED, Member of OakTable Network) and Kai Yu (Oracle ACED, Technologist of the Year for 2012) published by APRESS. The book "Expert Oracle RAC 12c" is covered every aspect of Oracle Real Application Clusters. 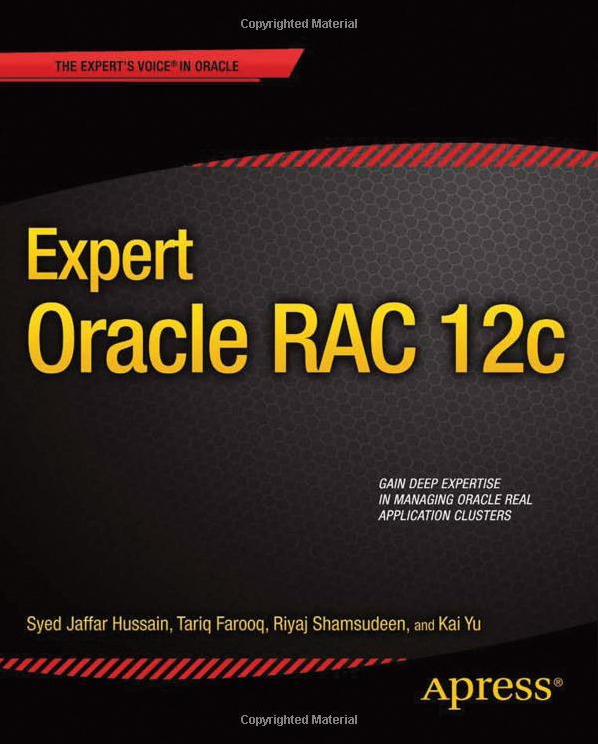 It means, the book do not covered only new features of Oracle RAC 12c, but every chapter assumed the latest version of Oracle RAC 12cR1. 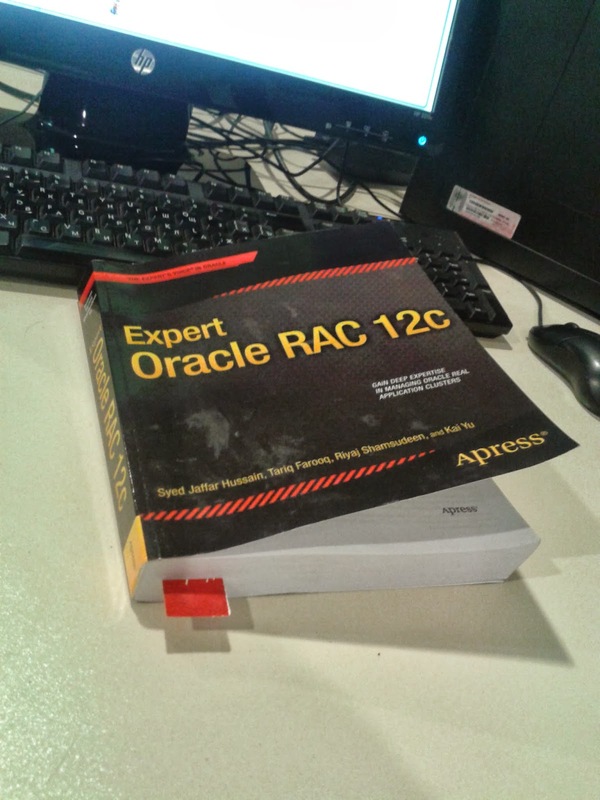 You can find everything of about Oracle RAC in this book. 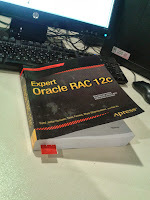 If you want learn deep Oracle RAC 12c, then you must start read this book. You can read my review of each chapter at below, so every chapter is detailed and you can read valuable explanations, in other words experience of authors in each chapter. As you know each author of this book is famous expert on Oracle. This chapter covered explanation of High Availability, Database Scalability, also Oracle RAC architecture, so RAC: Cache Fusion and background processes. Achieving the benefits of Oracle RAC is covered TAF, FCF and AC (Application Continuity in 12c) configurations. And you find “RAC or Not” question's answer in this chapter. This chapter described the architecture and complex technical stack of Oracle Clusterware and explains how those components works. This chapter also discussed some new features Oracle Clusterware features intrduced in Oracle 12cR1. You can find examples for diagnose, debug, trace clusterware and explanation solution for RAC issues, so this chapter discussed trobleshooting and monitoring tools and utilities. As you see name of chapter, this chapter covered very nice explanation of services. Also explained how to using services for application workloads, load balancing. This chapter described SCAN IP, SCAN Listeners and says don't allow an application to connect to VIP listeners directly. In this chapter you can find answers “how to configure TAF, FCF ?“and “what is Transactional Guard (12c) and Application Continuity (12c) ?” questions. Also this chapter covered practical information about RAC Database Management. It is very interesting chapter for me, because this chapter is covered new features in RAC 12c. In this chapter you can read very good explanation Flex Cluster Architecture, Oracle Flex Automatic Storage Management (Flex ASM) mechanism. Also you can read other new features of Flex ASM, such as Scrubbing ASM disk groups, EXPLAIN WORK (for tuning rebalance operation), how to using PDB's on RAC and etc.. This chapter, discussed storage - one of the key in Oracle RAC database. You can read deep information about storage architecture and configuration for RAC, also RAID configurations and Storage protocols. This chapter also explained Oracle Automatic Storage Management (ASM), ASM Instance, ASM Storage Architecture and Management ASM Disk groups with SQL*Plus and ASMCA and ASM Cloud File System. You can find answer for "How to store ORC and VOTE files in ASM Disk group?" question in this chapter. As you know bad design of application is decrease performance of database. This chapter discussed design patterns, methods to troubleshoot these issue and possible strategies for resolving them. So, this chapter discussed localized inserts, sequence cache, excessive commits, and index design in Oracle RAC databases. This chapter starting “Shared vs Non-Shared Database home” and continue with very good explanation of Server pools in RAC. Also you can read about Policy-Managed databases. I sure "Understanding, Debugging and Preventing Node Evictions" will very interesting for you in this chapter. This chapter covered Backup and Recovery on Oracle RAC databases. You can read about best database backup strategies, RAC standby databases, Management RMAN with OEM 12c and OCR backups, recovery scenarios in this chapter. As you know, the network is important part of RAC infrastructure. This chapter covered all aspect of network for RAC. You can read valuable explanations network protocols, VIPs, cluster interconnects, SCAN VIP and Listeners, load balancing and failover on network, name resolution on DNS and etc. in this chapter. This chapter covered with explanation of Global Cache Fusion processing, also Performance Analysis on Oracle RAC database using ADDM, AWR and ASH reports. You can read about all RAC wait events and DRM processing and troubleshooting DRM in this chapter. Resources and locks are maintained in GRD by GES layer of RAC code. This chapter covered Resources and Locks in RAC database. In addition, you can read the LMD process prints essential details in a trace file, and the analysis of LMD trace files. As you know, every time upgrade is important and difficult task for RAC databases. You can read every steps of Clusterware and RAC Database upgrade task in this chapter. RAC One Node (RON) as “the always-on single-server database” typically provides a traditionally cold failover solution. This chapter explained RON and covered deployment, management RON database. Also relocations RON database with Cloud Control 12c. Tariq Farooq is an Oracle Technologist/Architect/Problem-Solver and has been working with various Oracle Technologies for 20+ years in very complex environments at some of the world's largest organizations. He is the founding President of the IOUG Virtualization & Cloud Computing Special Interest Group. He is an active Community Leader/Organizer, Speaker, Author, Forum contributor, and Blogger. He is the founder of www.brainSurface.com, a Social Networking & IT Collaboration site for the various Oracle Communities with thousands of signed-up users. Tariq is an Oracle RAC Certified Expert, holds a total of 14 professional Oracle Certifications and, is the author of 100+ articles, whitepapers & other publications. Tariq has been awarded the Oracle ACE and ACE Director awards from 2010 - 2013. Kai Yu is a Senior Principal Engineer and technologist in Dell’s Oracle Solutions Engineering Lab specializing in Oracle RAC, Oracle Virtualization, and Cloud. 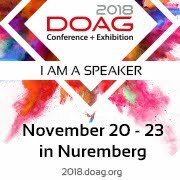 With 18+ years of experience working on Oracle technology, he has implemented and managed many large, mission-critical Oracle RAC databases, including those in his tenure with an IT organization having more than two thousand RAC databases. He has also keynoted at Oracle Architect Day. ... He was awarded the Oracle ACE Director title in 2010, given the Oracle ACE Spotlight in 2011 by Oracle Technology Network (OTN), and named the 2011 OAUG Innovator of Year Award by the Oracle Applications User Group (OAUG). In 2012, Oracle Magazine awarded him the Oracle Excellence Award: Technologist of the Year: Cloud Architect. Kai has been active in sharing his Oracle knowledge on his Oracle blog at http://kyuoracleblog.wordpress.com/. Conclusion: Expert Oracle RAC 12c is a hands-on book will help you understand and implement Oracle Real Application Clusters (RAC). I want thank to all authors for this book. I finished read this book, but I'll read this book again. I think this book must be read two or more time. p.s. I want share links of this book with you, I bought this book from Amazon.